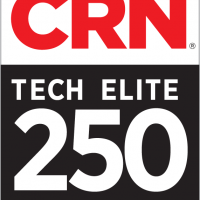 Suffern, New York, April 1, 2019 – PKA Technologies (PKA Tech) announced today that CRN®, a brand of The Channel Company, has named PKA Tech to its 2019 Tech Elite 250 list. This annual list honors a select group of North American IT solution providers that have earned the highest number of advanced technical certifications from leading technology suppliers, scaled to their company size. These companies have distinguished themselves with multiple, top-level IT certifications, specializations, and partner program designations from the industry’s most prestigious technology providers. “To be named to this exclusive status nine (9) years in a row really speaks volumes about the dedication to excellence imbedded into the PKA culture. Technology Solutions and having the ability to be a customer’s trusted advisor are the DNA of our company and being at the forefront of information and training for our engineers makes all the difference,” said Felise Katz, CEO, PKA Tech. PKA Technologies, Inc., a certified woman-owned business enterprise (W/BE) has been supplying IT Solutions, Products and Services for numerous organizations across diverse business sectors since 1996. Fortune 50 companies, K12/Higher Education Institutions, small to midsize businesses, and State and Local Government Agencies turn to PKA for Enterprise-Class Solutions and Technologies. PKA has forged strong alliances with Hewlett-Packard Enterprise, Intel, and other industry leaders, and is committed to the highest levels of customer services and their clients’ success.